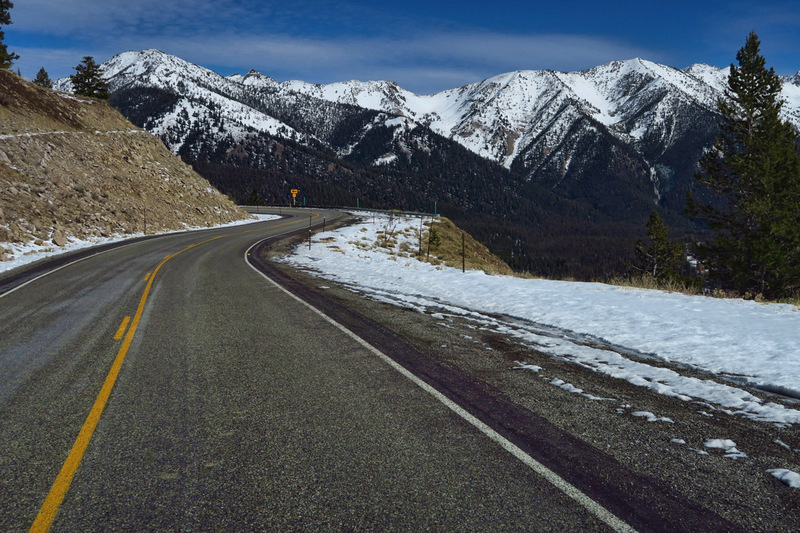 I have written often about the beauty of Idaho’s Scenic Byways, and the Sawtooth Scenic Byway has to be the most beautiful of all! 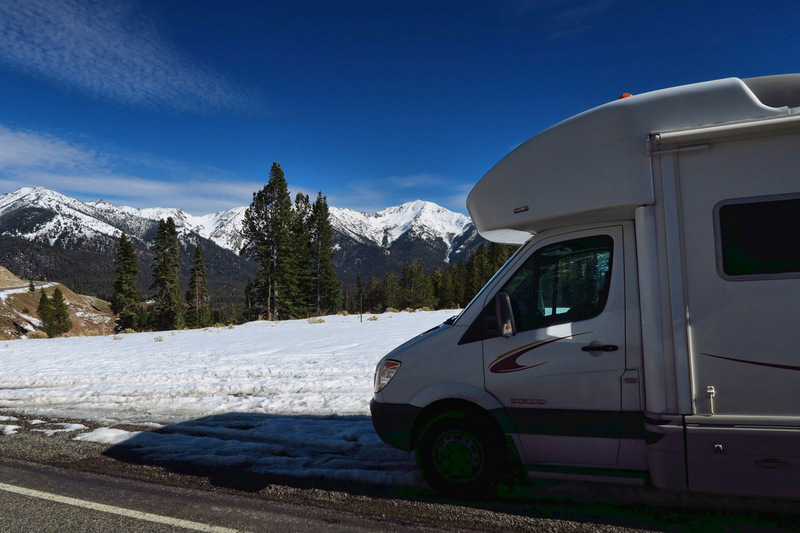 As we head out of the Sockeye Campground and turn south through the Sawtooth Valley, we are surrounded on all sides by snow-capped mountains. 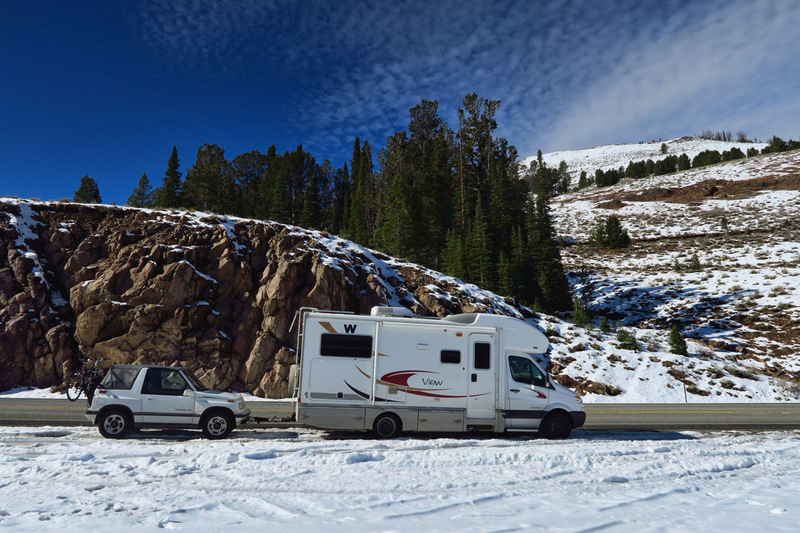 As we make our way up to the top of Galena Summit overlooking the Boulder Mountains, we traverse a good bit of snow on the pass, but the roads are clear. Leaving the Sawtooth Recreational Wilderness Area, more beauty lies ahead. More snowball action from Galena Summit. I’m in the lead, and I pull off to the side of the road frequently to take it all in. I don’t want the beauty of this road to ever end! Considering the Boulder Mountains are officially a part of the Rocky Mountain range, I feel justified in playing John Denver’s “Rocky Mountain High” as loud as my speakers will allow, only to be eclipsed by my bad sing-along. Galena Summit, elev 8,701 ft, along Highway 75, the highest paved road in Idaho, is the sight of the headwaters of the Salmon River. 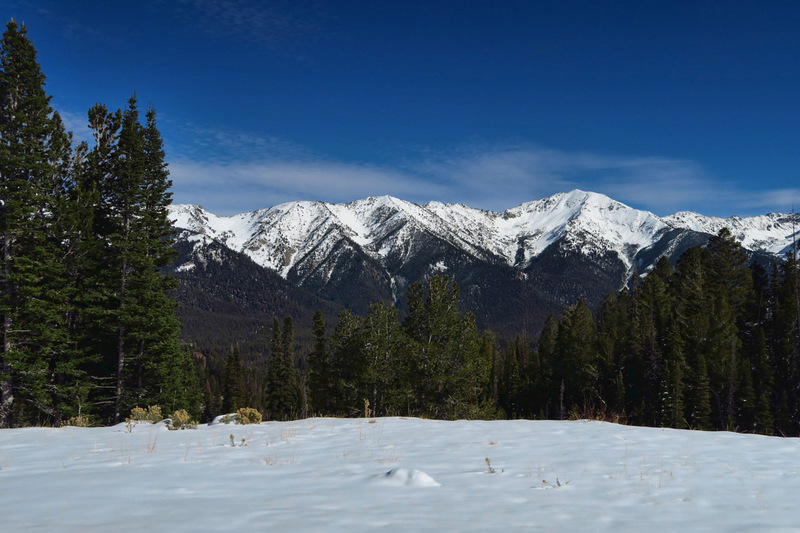 Views from this gorgeous summit look out over the Frank Church River of no Return Wilderness. Established in 1980, this two million acre wilderness area honors Senator Frank Church (D) senate floor sponsor of the Wilderness Act of 1964, which protected 9 million acres of land as part of the National Wilderness Preservation System. 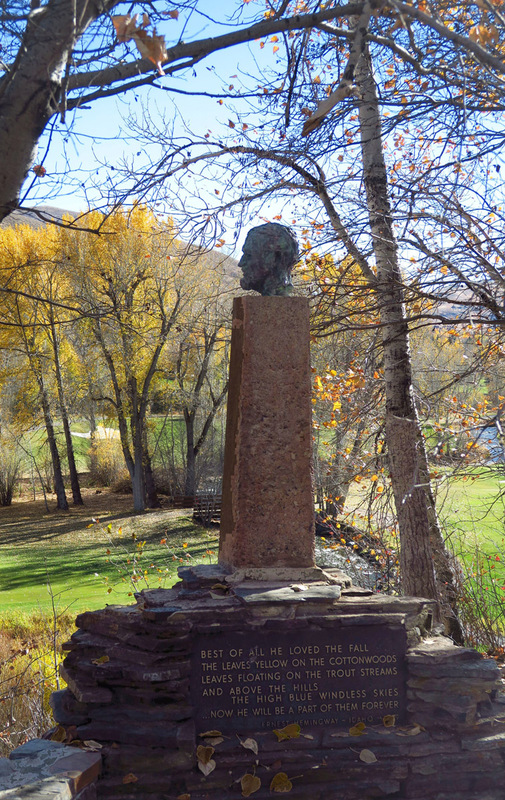 In 1968, he introduced the Wild and Scenic Rivers Act, which included the Middle Fork of the Salmon River, so that rivers “shall be preserved in free-flowing condition, and that they and their immediate environments shall be protected for the benefit and enjoyment of present and future generations.” (Paraphrased from Wikipedia.) There is a beautiful rest stop atop Galena Pass named for the Senator. 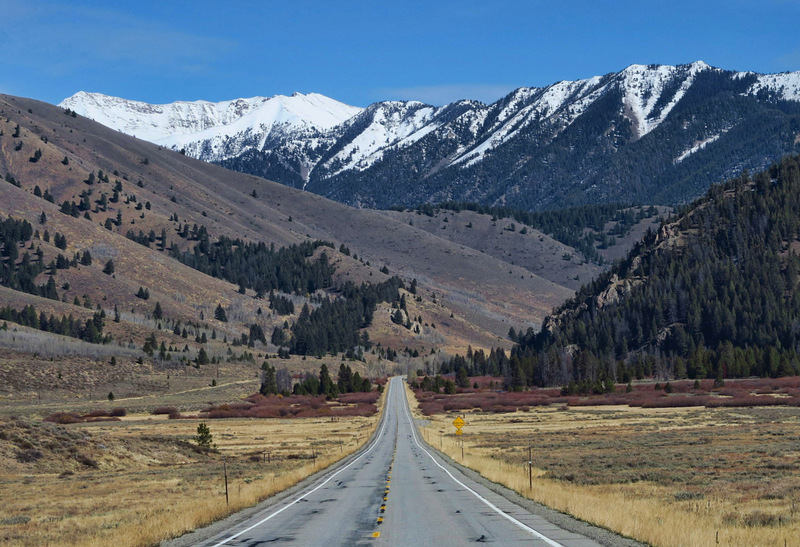 The Sawtooth Scenic Byway leads through Sun Valley, Idaho, adjacent to the town of Ketchum. 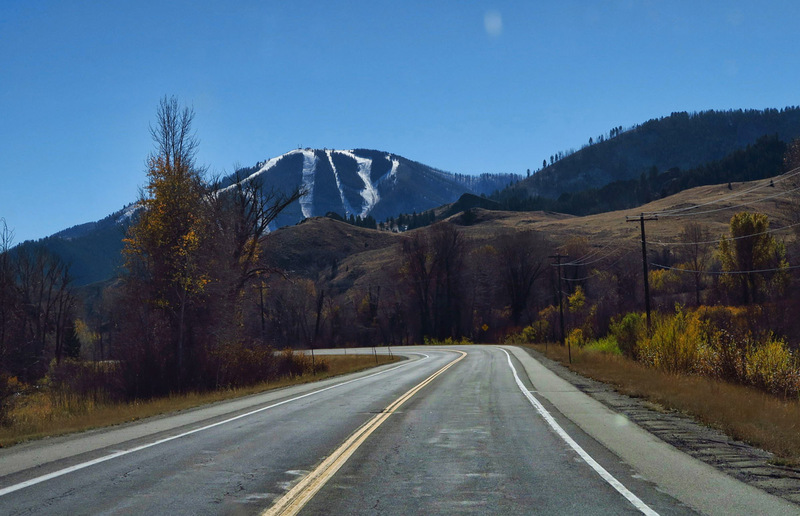 As a long time downhill ski enthusiast, I always wanted to visit Sun Valley. My former husband and I often discussed it as an alternative to the increasing crowds in the Colorado Summit Area and the Cottonwood Canyons of Utah. But flights into the remote region always proved to be cost prohibitive. Since we were passing through, we parked the rigs, unhitched the Tracker, and went for lunch and a look around the ski area. I see snow on the runs ahead, but not quite enough just yet. 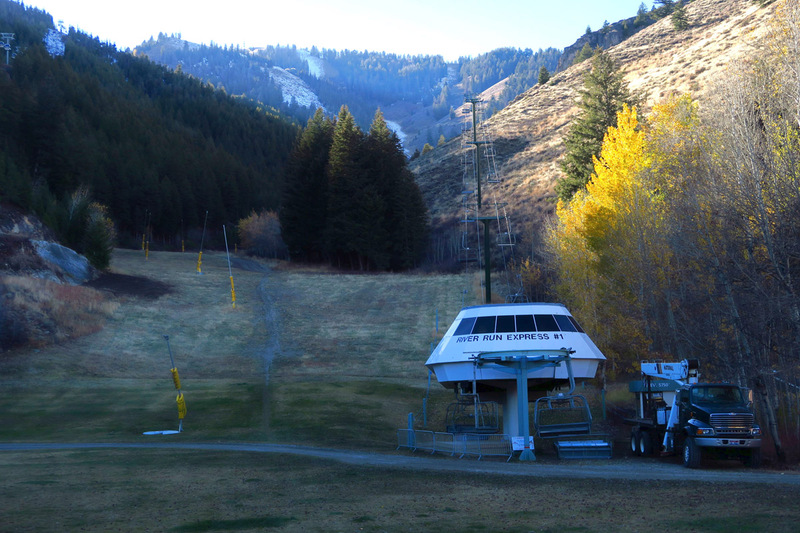 One lift is running for tourists…too early for skiers. 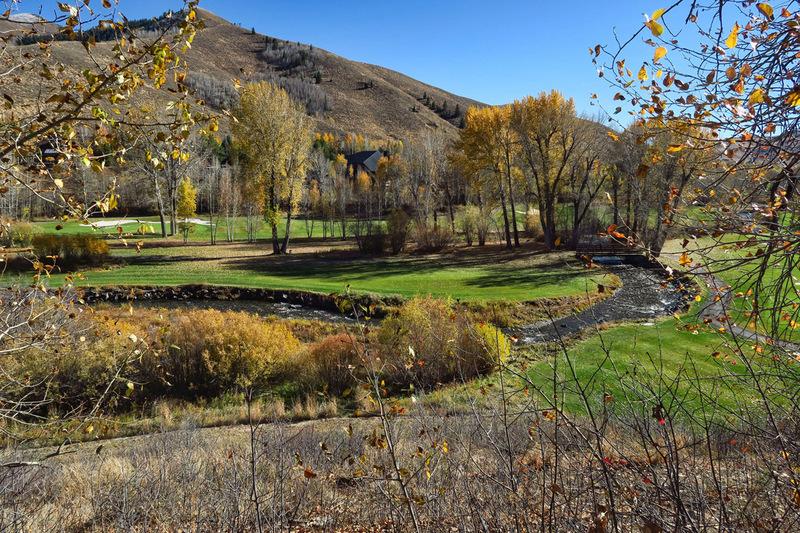 We see signs for a Jazz Fest, but no one in Ketchum seems to know anything about it. 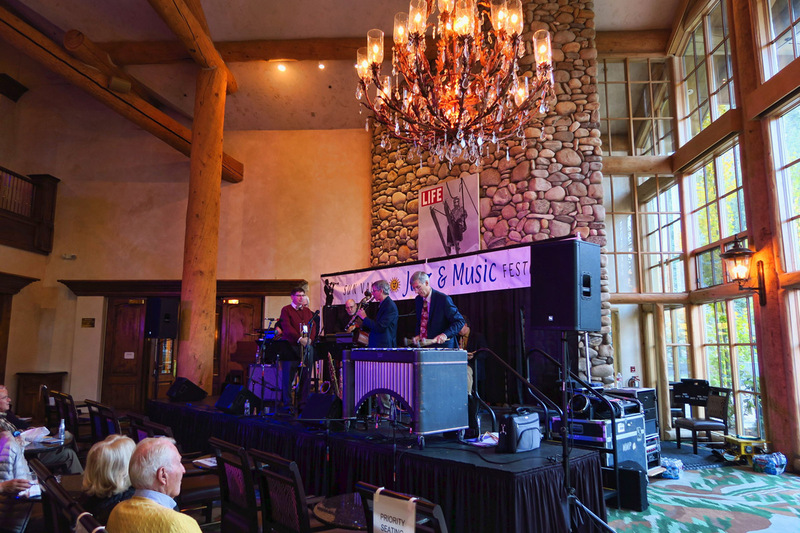 Then as we are looking around the Sun Valley ski area, we wander into a back door of the lodge and find ourselves right beside the stage of the jazz performers. Gate crashers that we are, we stay and listen for a while. Sun Valley being a “resort to the stars” has the only full service gas station I have seen since leaving Oregon. 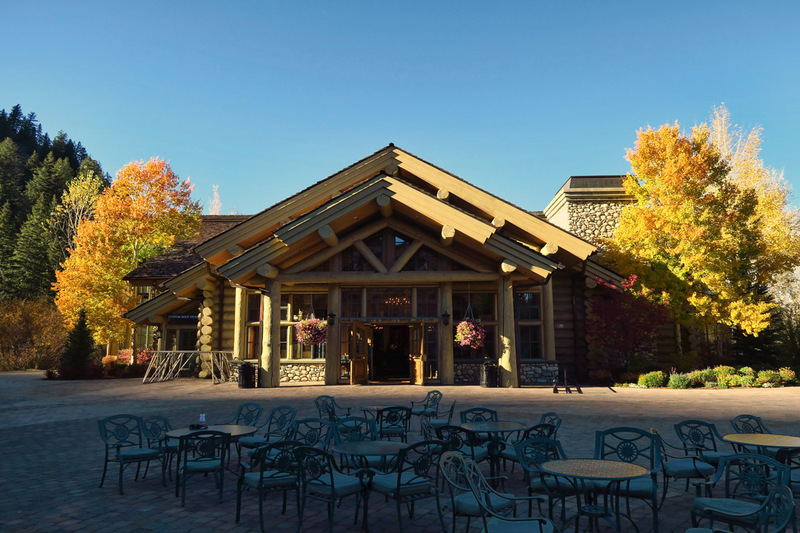 We pull into the Sinclair to top off the Tracker, when a young, freshly scrubbed blonde haired man comes out wearing a uniform shirt with the top button synched. He looks like he just stepped out of a Post WWI Doughboy movie. I tell him we only have an afternoon to look around town, and ask for his recommendations of things to see in the area. “Well, Ma’am, I would personally recommend the Hemingway Memorial.” Hemingway?? In Idaho? Having always associated the great American novelist with Key West and Cuba, I didn’t realize he had such firm roots in Idaho. 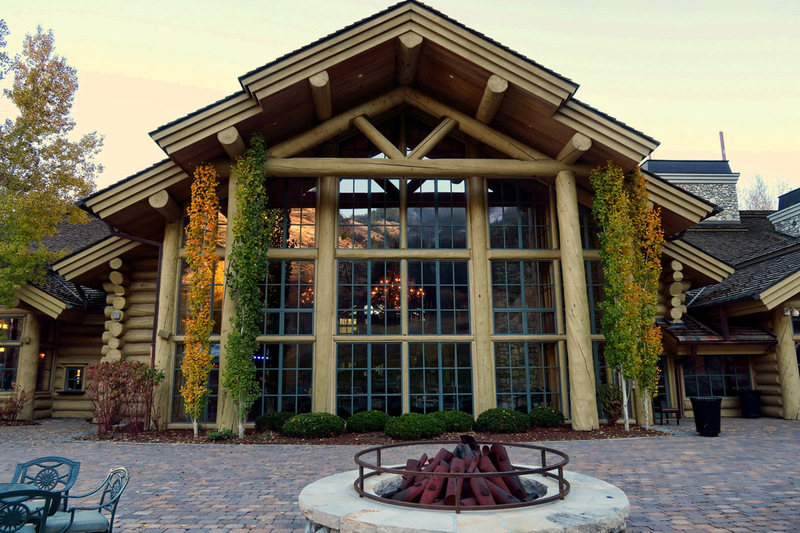 But in doing some research, I learn not only did he have a summer home just outside of Ketchum, it is also the location where he chose to end his life. With his favorite shotgun. Just one month shy of his 62nd birthday. …Now he will be a part of them forever. Beautiful view overlooking the valley from the Hemingway Memorial. 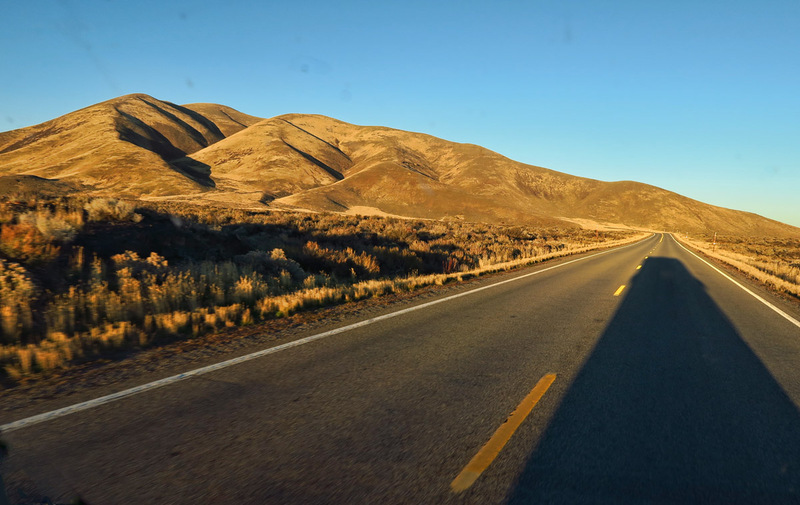 This entry was posted in Idaho and tagged Ernest Hemmingway Memorial, Ketchum, Peaks to Craters Scenic Byway, Sawtooth Scenic Byway, Sun Valley by Suzanne. Bookmark the permalink. Wow, Nancy, what a wonderful comment! Thank you! Just yesterday, I was poking fun at myself to some friends, saying I was finding amusement in a blog post title that probably no one else would “get” but me. It is gratifying to know someone else got it too! Thanks for your support of the blog! Just one question, what does it mean symbolically to insert a “safety pin”? Hi, Terri — In the wake of some of the acts of intimidation to minorities that have occurred over the past couple of days, it is a movement to say “You are safe with me.” Thanks for the question. Oh I see! It amazes me how you find time to explore, hike, drive, find wonderful places to sleep and eat, compose your thoughts and write a great blog about it all, compose all the great photos and incorporate them into your themes, AND read up on current world affairs! You’re a WONDER woman in my eyes! 🙂 Thank you for being an inspiration. I’m always amazed at your knack for tying (pinning, in this case) everything together so perfectly. Thanks, Marianne — I am honored to have you following. 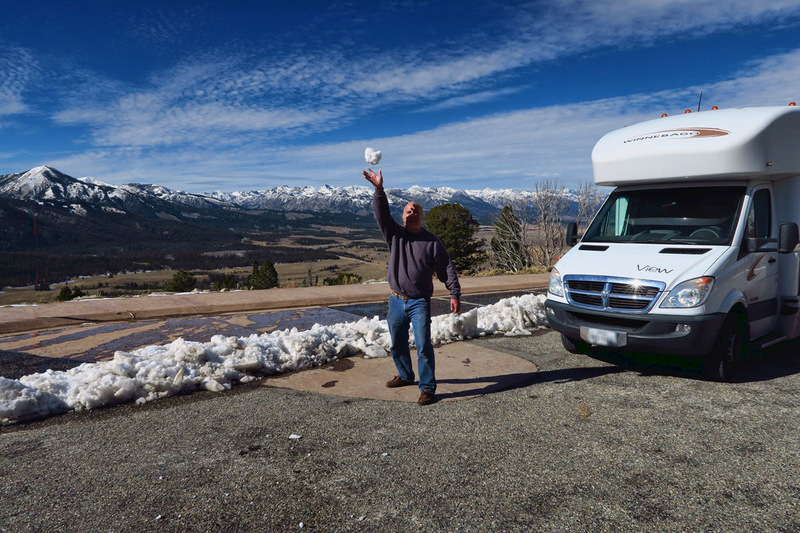 That last Hemingway quote is so appropriate for the full time RV’er…maybe for everyone. The alternate version is “wherever you go, there you are”. Thanks for another lovely post. The Sawtooths look quite different with all the snow. You would enjoy going back in warmer weather to do some hiking and biking on the wonderful trails in the area. Surprisingly during August it just wasn’t all that crowded. 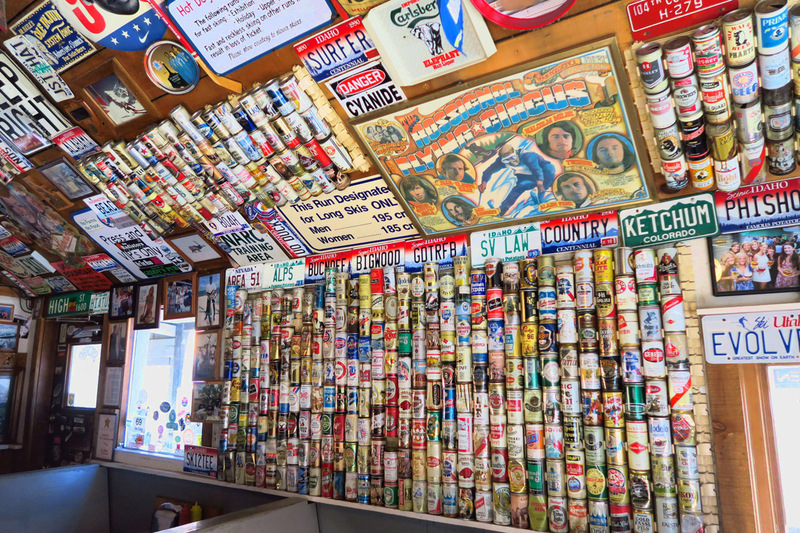 And try the burgers at Lefty’s next time! Thanks for another post that communicates so well the area and your adventures. We’ve selected a spot in Idaho for next years eclipse and if the weather in August cooperates the Valley of the Moon. Looking forward to your adventures there. Dtto – really, I am running out of superlatives for your photos and posts Suzanne. Hows the old man in the sea doing? Check out the Super moon tonight and tomorrow morning. The moon rises too! Are you use photo correction program,like Lightroom or Photoshop ? Ok, another question, how furnace efficient in your rig during the low temperature ? Hi, Alex — Thanks for the questions. I do use a little bit of Photoshop on some of the photos, but only to try to restore them to the level that I remember with my naked eye. I supplement my furnace with a Little Buddy Heater. But I don’t like it too hot in the rig. i turn it down to 55 at night, and so far the furnace has always been able to maintain that temperature. Thanks for showing me another state that warrants more attention from us. Looks like an area that would be great to visit in the summer as well. Just the right amount of snow for traveling 🙂 How lovely to find a young man who directed you to the right spot for the day. That is quite the lift and a fun Grumpy’s. I’m (insert safety pin) so much with you. Beauty and love will rule my world, as long as I’m physically able. It feels kind of surreal that the sun does rise again after a big upheaval…but it does, and we go on. Still in disbelief, but onward. Idaho is gorgeous, I hope to return some day. Yeah, now if I could only transport myself out to White Pocket!! Thank you for sharing the beautuful , restorative scenery. We traveled that exact road earlier this fall just as the leaves were turning in the low lands and snow was in the pass. Absolutely beautiful. We did not stop in Ketchum but would have enjoyed Grumpy’s! Little Buddy… quiet and efficient!!! 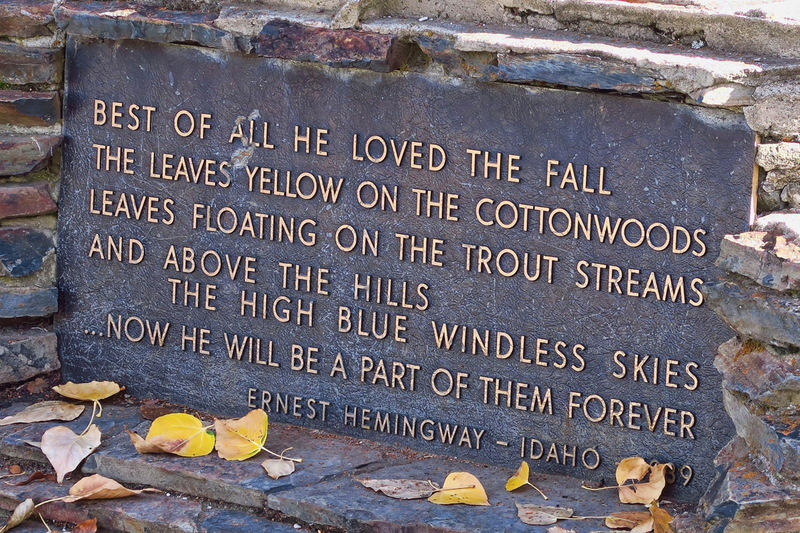 I, too, was surprised that Hemingway had such deep ties to Idaho. We visited his gravesite with many pennies to acknowledge that many others had been there before us, and I spent quite a bit of time at his memorial. It was in the summers so we sat for a while on the curved stone area overlooking what looked to be three streams. Hard to believe that such a gifted man was depressed to the point of taking his own life–especially in such a beautiful area. I always associated him with Key West. We better not shout our love of Idaho too loud–it’s liable to become like northern Colorado! As always, enjoyed your photos. Now, I hope I can arrange to come back through there in the fall. I meant to say that Hemingway’s favorite time of year was the fall, too. I have many non-digital pictures that I’m working through to digitalize; among them are many pictures of the memorial. You are right. It was a bit difficult to find. Seeing your rig in snow seems out of place yet I’m guessing you’re further south now. 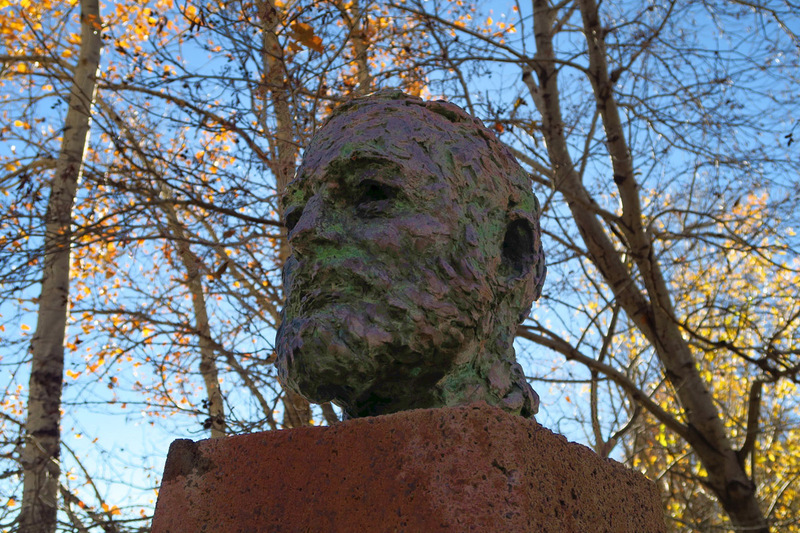 Nice surprise to find Hemingway in ID. I am finally getting caught up…now that I have caught my breath. I felt a bit like a wounded bear that needed to hide in a cave and lick its wounds. And yes, the sun does rise and thank you for the reminder. The way you thread light into your posts is uplifting and soothing. Grateful for the reminder to pack a few safety pins for my upcoming trip!